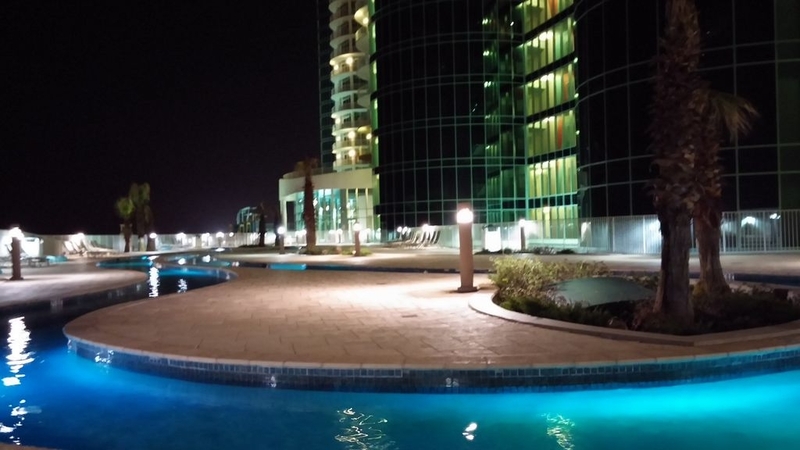 If you should decide to venture off property, the Orange Beach & Gulf Shores area offers so much to do! The Pensacola Naval Air Station Museum is less than an hour away, several marinas are within sight, many area golf courses designed by the best players, historic Fort Morgan, numerous restaurants within walking distance...and some a short drive away such as LuLu's and the Hangout in Gulf Shores, the Bon Secour National Wildlife Refuge, Gulf Coast State Park.....and of course there's a Wal-Mart less than a mile away! 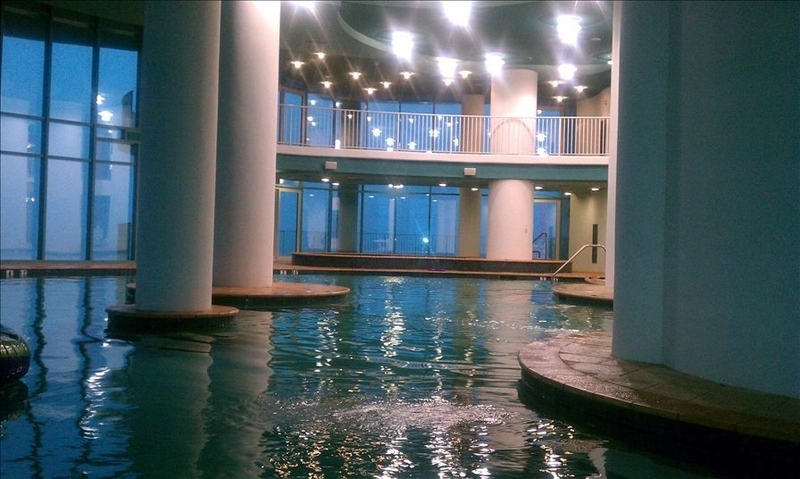 Six high-speed elevators, Lazy River, indoor and outdoor pools (all pools are salt water...much easier on eyes & hair), playground area, enormous lobby with seating for relaxing, four-level parking garage (includes one assigned spot, one unassigned) including a beautiful four-story waterfall in parking garage, sauna, steamrooms, tiki bar and snack bar, sno-cone station, kids crafts/activities (some may be at additional cost), snowbird activities in winter (may be at additional cost), seasonal live music poolside, family beach activities/races, family movie nights in indoor pool, outdoor tennis courts on fourth level. We fell in love with the Gulf Coast several years ago when our kids were small. We have wanted to own a piece of beautiful Gulf Shores from the very first time we visited. Finally, through years of hard work, we have made our dream a reality (yay!) Now we are pleased to be able to share Turquoise Place with you and many other families. We hope that you will look back at your stay in our condo with a smile and maybe a chuckle at the priceless memories that are yours and yours alone! 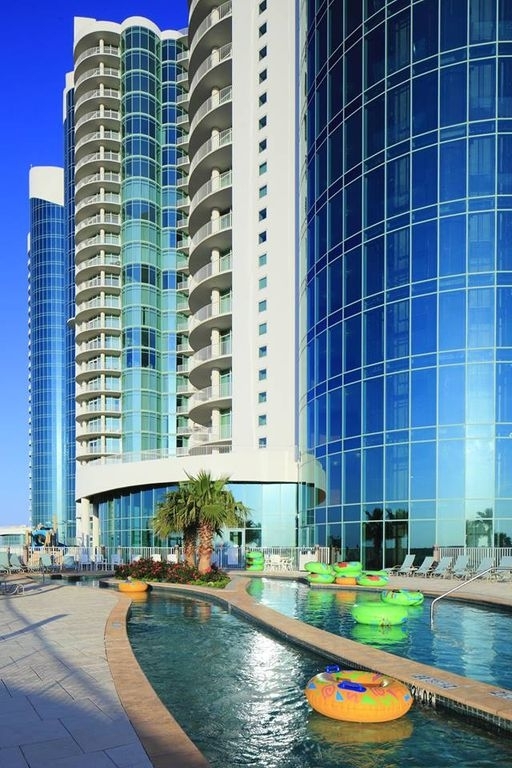 The first time we drove through Orange Beach and saw 'the big turquoise building', we had to check it out. From the moment we stepped into the lobby, our jaws never stopped dropping. Turquoise Place is a destination unto itself. There is no reason to leave, and you won't want to. When you do have to leave to go home, you know you WILL be back. From our first visit, we knew this was our new home on the beautiful Gulf, and our wish is that you will find a new home here, too. Book right now and find out what we mean! We know you have many choices available to you when choosing a vacation rental. We want you to know that when you rent from us, you are renting from US, not an impersonal management company! We want to welcome you into our home as a guest, and we want you to have such a great experience that you can't imagine renting any other condo again. If you need dinner suggestions, something to do on a rainy day, want to know the best grocery store or gift shop, we're here for you. And if you should need maintenance or an issue taken care of, we have you covered with the best maintenance guy just a quick phone call from us away. We want you to de-stress, enjoy, and make some special memories on your vacation! We have become friends with so many of our guests, and they return year after year. To us, that is the ultimate compliment we can ever receive. One of our favorite things to do at the Turquoise Place after a long, relaxing day of fun in the sun is to head down to the pool and listen to the live entertainment during the summer months. Let the kids play in the pool while you grab an icy cold drink and take in some of the best talent in the south, and talk with other folks staying in the resort. It just doesn't get any better than that! We had a great stay. The condo was well appointed, clean, and overall very nice. In addition to the fantastic condo in a great location, the owners were very pleasant and made sure we had a nice trip. 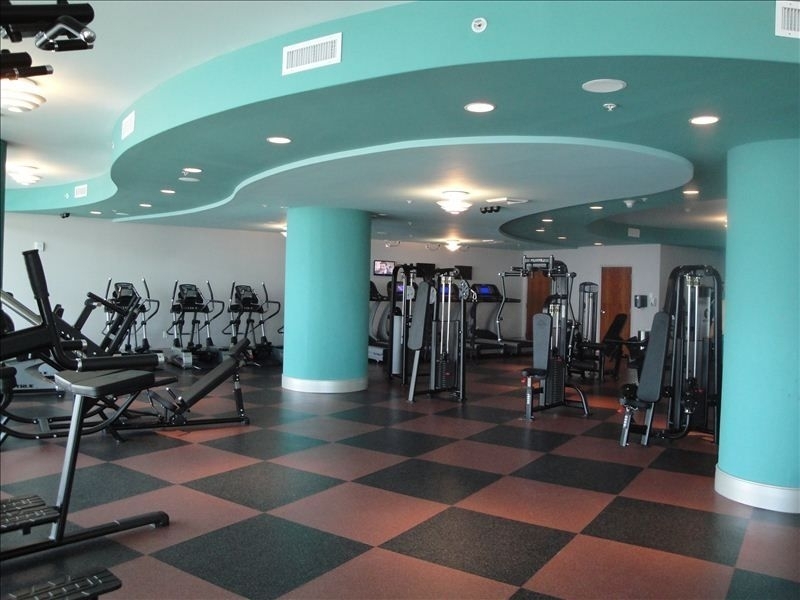 I definitely plan on returning to Turquoise Place, and, when I do, I will be staying at this condo. That having been said...I would obviously recommend Doug and Cristy's condo to anyone looking for a family friendly vacation spot on the Gulf Coast. What an amazing home and complex. The condo was perfect for our family of 6 for a week. Very well appointed and equipped. The complex was amazing as well as the kids loved the lazy river and pools in addition to the beach which was great as well. Doug & Christy were very helpful from the booking process all the way through our stay. I messaged them about a couple of recommendations for restaurants and seafood shops which they replied right back and the suggestions were spot on. Thank you for a wonderful place to stay on our beach vacation. Cannot wait to go back again. The owner was absolutely terrific. The condo was beautiful and has been well taken care of. We hope to return again next year. Beautiful and wonderful access to beach... very quiet except when grandkids screaming in excitement! If I may suggest a few things... oven needs calibration, master shower difficult to operate, need sheets that are deeper to fit mattresses better, and finally, need a small vacuum and a spray mop of some sort for cleaning hard floors. This unit had everything one needs for cooking and entertainment regarding tv, games, etc. Hot tub on balcony which was very enjoyable with the couple days of rain. Definitely in the top places to stay!!! Won’t be disappointed!! The location was perfect t... very quiet in halls, etc. Wow! Pristine, beautifully decorated, classy but comfortable, and so spacious! It was extremely clean with comfortable beds (these are top priorities for me). Easily accessible from elevator but without any loud elevator noise! Doug and Cristy are so considerate and easy to work with. We didn't really have any needs/questions once we were there, but we knew they were accessible if something came up. We'd love to stay in this unit again if we have the opportunity! Cristy and Doug were a pleasure to work with. 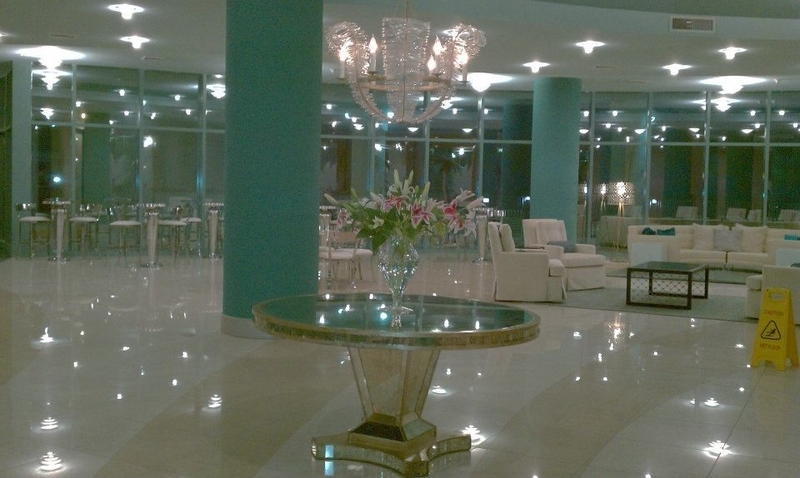 The condo is absolutely beautiful, comfortable and fully equipped. Loved the easy beach and pool access. The Turquoise place staff were also very helpful and super friendly! Would most definitely stay here again!!!! Thank you for a wonderful home away from home! 2nd time to turquoise place and our favorite. Owners are HIGHLY responsive to questions and inquiry. Unit was clean, comfortable and relaxing. LOVE! 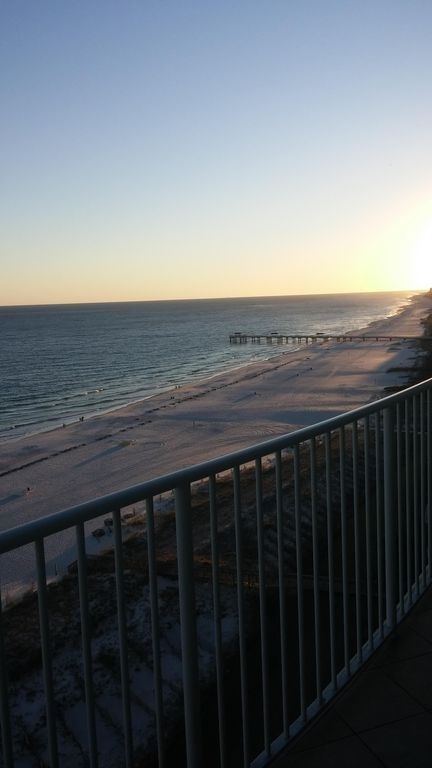 This was our 3rd trip to the Orange Beach/Gulf Shores area and our 1st stay at Turquoise Place. We loved everything about Turquoise Place. There are lots of things to do on the property and the staff was super friendly; always asking if we were enjoying our stay and if there was anything we needed or could do for us. Security was always present which we very much appreciated. We really liked the location of the condo within the building. High enough for beautiful views and close to the elevators.The condo itself was beautiful! The kitchen was very well stocked. The furnishings were very comfortable. We especially liked the oversized barrel chairs in the living room and master bedroom! We also really liked spending time on the balcony - very comfortable furnishings there too and the kids loved the hot tub! Doug and Cristy King could not have been more friendly and easy to work with. Would definitely stay here again! Quotes are an estimated price for the rental period you selected and may not include a refundable deposit or other optional/seasonal fees that may apply. After submitting your inquiry, the owner will provide you with a detailed quote.